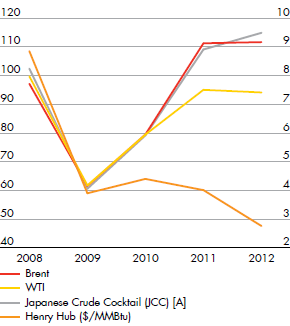 Estimate based on publicly available data. Based on available market information at the end of the year. 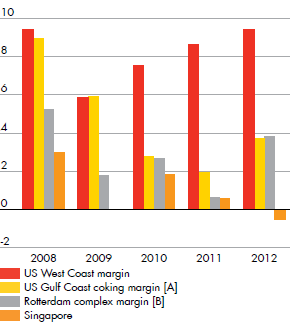 US Gulf Coast margin up to and including 2009. Rotterdam Brent up to and including 2009.